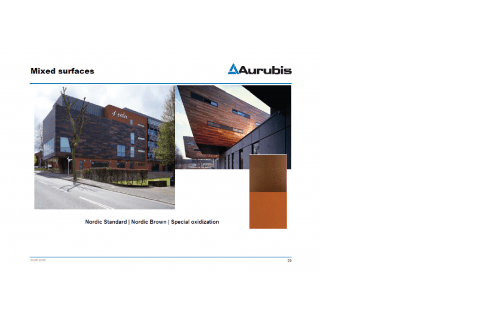 Finland based material producer, Aurubis, uses man-made surface treatments on copper and brass, to achieve controlled oxidisation. 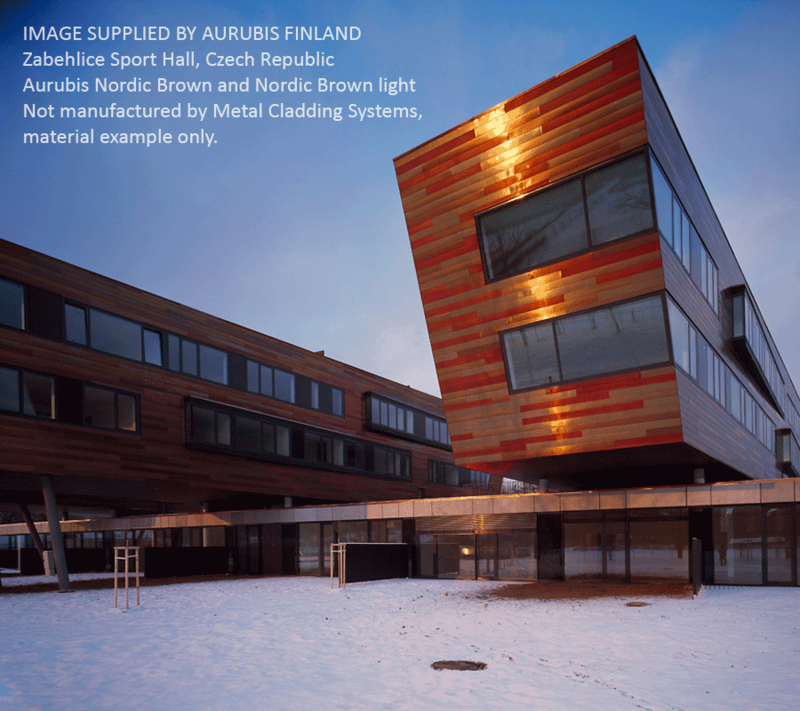 Aurubis developed a technology to quicken, control and freeze in time, various stages of copper and brass oxidisation. 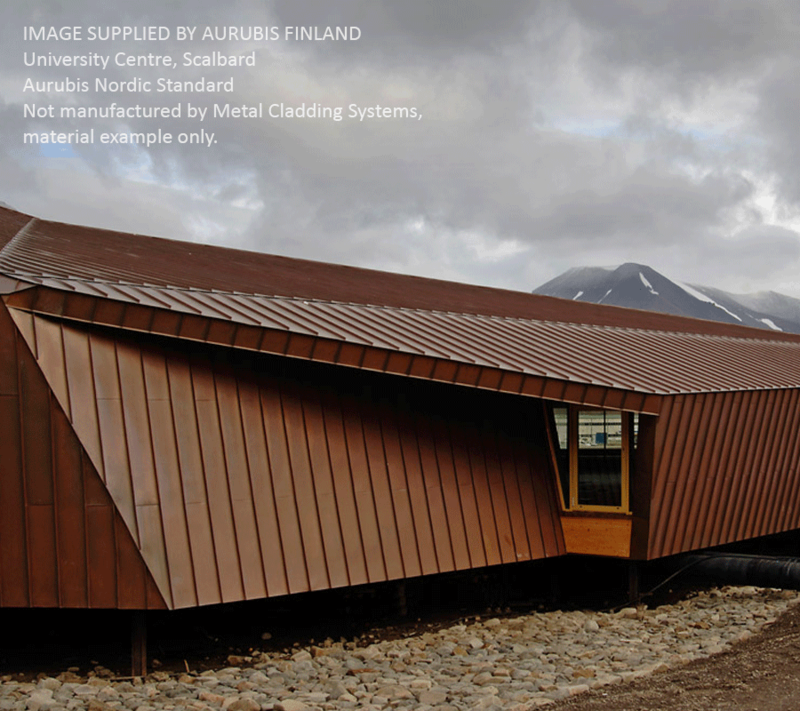 Their collection of boutique roof and wall cladding materials offers various intensities of green, blue, brown, tan and gold. 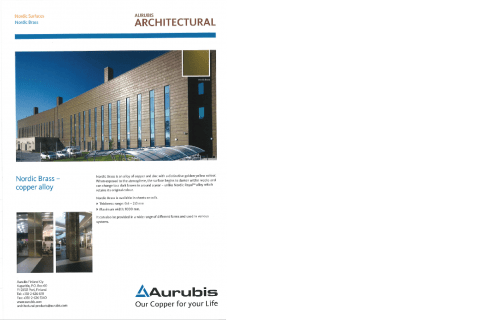 In addition to treated metal, Aurubis also produce traditional natural copper and brass. 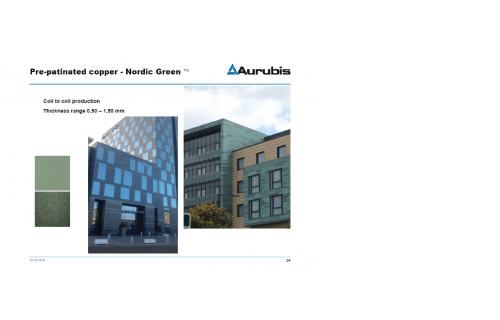 Metal Cladding Systems source Aurubis coil from Craft Metals. 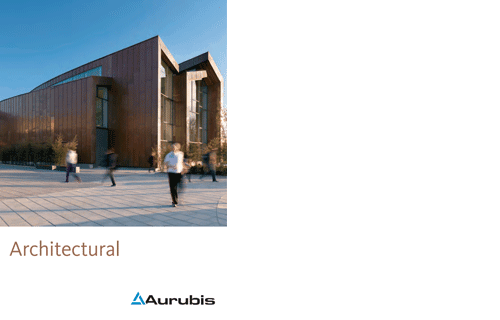 Aurubis’ range of surface treated copper is called Nordic Products™. The collection consists of, Nordic Standard, Nordic Brown, Nordic Green™, Nordic Blue™ (mineral based green and mineral based blue), Nordic Royal™, Nordic Brass™ and Nordic Bronze™. 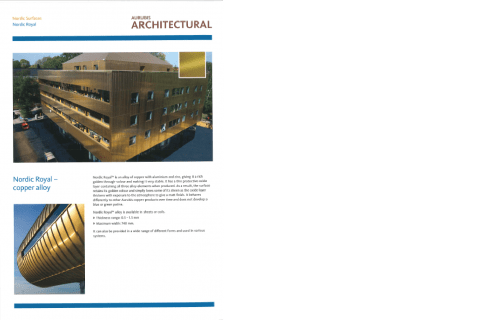 When natural copper and brass oxidise, even if installed on the same project facade, will rarely age at the same rate, or in an identical manner. 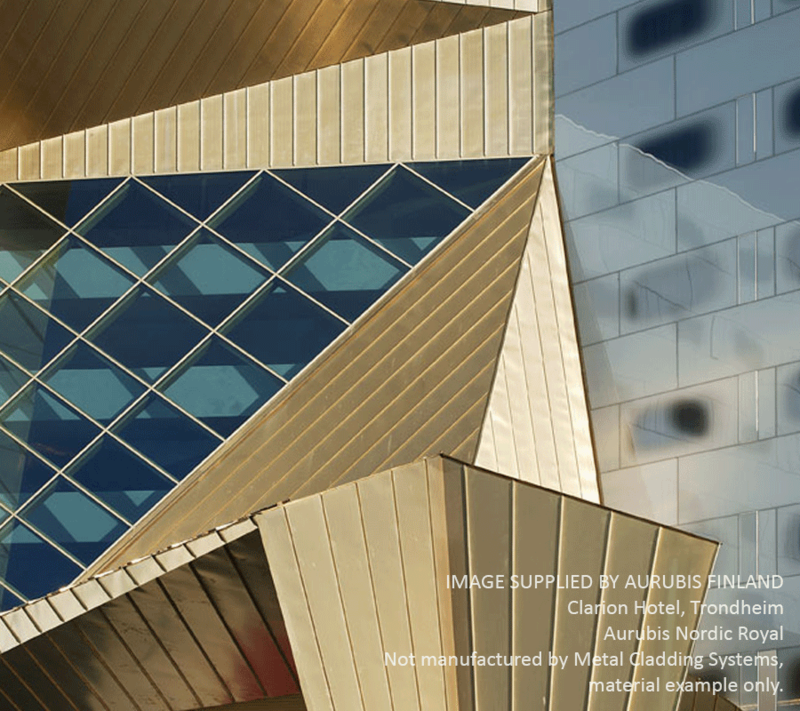 Nordic Products™ provide an opportunity to achieve the ‘look of aged copper and brass, without needing to wait or risk uneven patina. For something different, bold and eye-catching, there’s no going past exquisite Aurubis.